J.M. Haggar Premium Stretch Suit Pant - Flat Front is rated 4.7 out of 5 by 21. 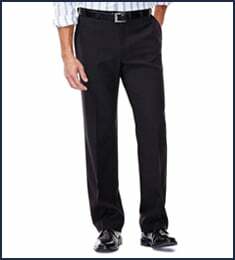 Rated 5 out of 5 by James1977 from Very nice dress pants! Never before have I bought clothing online, so I was worried about the way they would fit. 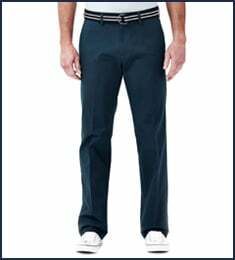 I bought 1 pair of the classic fit Haggar dress pants hoping they would fit. Once I received them, I was delighted to find out they were a perfect fit! I ordered 4 more pair in various colors and every single pair fit the same as the first! Rated 5 out of 5 by Vette44 from Great fit A great way to buy a suit that fit without having to wait for alterations. My jacket size always comes with pants that are too big. this way I get a correct fit the first time. Rated 5 out of 5 by Montecar13 from Great fit Wow got these for free and love them they look great on my son. Rated 5 out of 5 by Laro from Very nice suit pants This suit makes for an awesome purchase and great addition to my wardrobe. 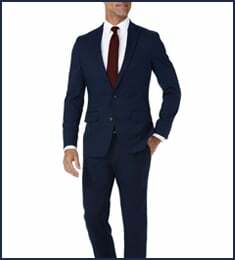 Has all the features except 2 that I was looking for: Nicely tailored, separates allow me to choose coat and pants that fit, expandable waist a big plus and why I chose Haggar, great paid return policy along with a great price! 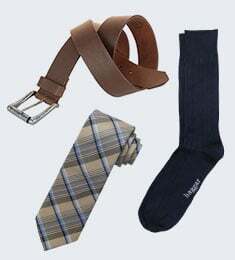 The 2 negatives: Very small selection with few patterns such as windowpane, checks, etc and long delivery time! Would buy more with added selections! Rated 5 out of 5 by Needed a Suit from Very nice suit .. very nice price I was very impressed by the quality of this suit. I have purchased suits in the past from a different retailer that specializes in men's dress clothes, but that company's quality has steadily gone down hill, in my opinion. This suit fits me perfectly, and is much better quality, and a much nicer price. I will never mind spending my hard earned dollars for a quality product at a fair price. Well done Hagger. Rated 5 out of 5 by coffeegal from Great Fit These pants fit extemely well and are nice material - quick shipping. Glad I purchased them. Rated 5 out of 5 by Oettaher from Love this style/cut fit and material. Ive been shopping here for years and i gotta say i love the quality and the cut of anything i buy. The expandable waist is a nice feature and I love the material and fit. Got my exact size and length and it fit perfect. I loved them so much I bought 5 of them.